The Wampanoag were a Native American tribe. 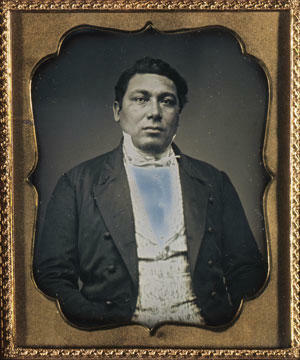 They lived in what is now the American region of New England. The Wampanoag tribe helped the English settlers to survive, after they arrived in the Mayflower. The caught a bacterial infection called leptospirosis or Weil's syndrome in the early 17th century. It caused a many deaths and damaged their society greatly, though their descendents still survive today. Tisquantum helped the Plymouth colonists learn to cultivate corn. 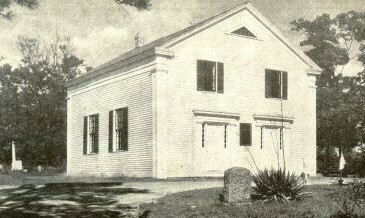 "Old Indian Meeting House," built in 1684 in Mashpee, is the oldest surviving Native American church building in the United States. Philip, King of Mount Hope, 1772, by Paul Revere. Revere designed this pygmy-like image to make King Philip look repulsive. Wampanoag Facts for Kids. Kiddle Encyclopedia.